Our pets notice everything – even the slightest change. They know when something is up and want to make sure they are included in whatever exciting activity you have planned! Hence their tendency to follow around your suitcase to showcase their travel anxiety. Every vacation season brings its own share of activities but there are some things that always get our pets pretty excited… visiting guests, new places to explore, changes in feeding schedules, new friends to meet and maybe more outdoor cooking than usual. All of this can turn your pet’s normally calm and collected personality into a frustrated, frazzled, and, well, mischievous dog filled. Keep your dog on a regular schedule – this includes food and grooming. Limit the amount of travel that you do with your pet. But also make sure you have a good pet sitter if you do travel without them. Limit the number of guests that come over to your house (and only bring over the nice ones who give belly rubs and treats please). Don’t leave things lying around for your pet to “dig around in” just because you are away from home… because your pet will be curious. And all those new decorations in the rental home look like fun play toys so it might be best to keep them out of your pet’s reach. As much as your dog may beg, table scraps are not good for pets so please do not tempt them. Keep introductions of new friends (pets or people) to a minimum so as not to over-stimulate me. Take a walk around the vacation location where your pet might explore to make sure there is nothing they could get into, eat or hurt themselves with in the vicinity. There may even be snakes or other varmint that could harm your pet. Better safe than sorry! Don’t let grilling get too casual – if you drop food on the ground (or your guests do), your dog is likely to find it and try it out which could lead to digestive issues down the road. The easiest way to create a stress-free escape for your pet is to take them for regular walks and runs to reduce anxiety. Be sure to keep us close to you with a nice, strong collar and leash and consider taking a crate along to protect your pet and the housing at your vacation spot of choice. Where Do You Plan to Take Your Pet For Vacation? Are you making plans to include your pet in your vacation travel this year? If so, where are you going and why do you think it is a good fit for your pup? If not, why have you made this choice and what decisions have you made to care for them while you are away. Please leave your comments below and pet travel anxiety tips so we can share them with other readers. 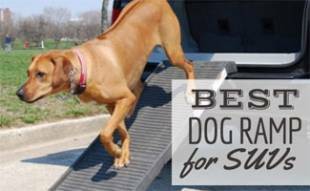 What Is The Best Dog Ramp For SUVs? It is also best to avoid bringing other animals to your home. Despite what we may like to believe, pets are still very territorial and can be competitive. Even if they do not display these feelings visibly, having other animals in the home WILL cause their stress level to climb. It is also quite possible that the animals could have an altercation, which would certainly not be fun for either of the owners. Please, avoid bringing new pets over, especially during a time of the year which already may be causing stress levels to rise. It is also very important during this time of the year to continue taking your animal on regular walks. Dogs love to walk and run. This is a great way to get them out of the house (which may be an increasingly stressful environment) and able to blow off some steam. A nice walk or run in the park for a few minutes can do wonders for the mental health and well being of your favorite four legged friend. Maybe even take the Frisbee and make a game out of it. Your little one will appreciate the exercise and the attention from their favorite human! Beyond these, the author also delved into options for those times when you simply needed to leave. Maybe you were required to go on a business trip, or were called away to a family emergency. In these cases, you really have only three options: take the little one with you, board them or hire a pet sitter. Although I think that you should also consider trying to use family or friends to watch your pet before any of the other options that leaves your furry friend in a strange environment. 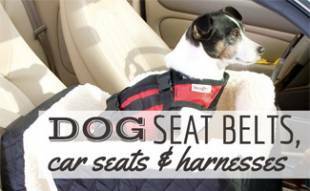 Some excellent tips were included in the event that you simply had no other choice and needed to board your pet. First, you should make sure that they have the type of food they are most used to. Maybe even include a few of their special favorite treats. This will certainly make the animal feel at least a little more comfortable. You will also want to take them to their vet ahead of time. Get clearance for any vaccines that the animal may need in order to be up to date. Many kennels and other boarding places will not even take a dog or puppy unless they are up to date on all of their shots and vaccines, anyway. Incidentally, it is possible that a dog may get a bit sick after receiving a vaccine. This is also true for people, by the way. This is why you should do this seven to ten days ahead of time (of course, you may not have that kind of notice). I think it's a good idea to try to limit the amount of travel. This includes both the amount of travel you do with and without your pets. Once again, pets thrive on regularity and anything which takes them off of a regular schedule will likely have an effect on their stress levels. Even if you are taking them with you, it can be seen as a stressful change. This is especially true if it is a new place or your animal is a very high strung type in the first place. Limit the number of guests that you have over to the home. Of course, everyone needs to determine how many new people your pet is capable of handling. Some of the more excitable types probably should not be exposed to many new guests. Anyone ever have the experience of a pet getting so riled up at meeting someone new that they peed all over a chair or new carpet? Not fun. And yes, this has happened to me! Once, my little poodle was so happy to see me after an absence that she peed all over the leg of my pants! On the other hand, if your pet is less easily ruffled, or maybe even a bit older, they may be able to handle more new people. Just make sure that your guests understand you have pets and let them know your rules for petting, belly rubs and giving treats (if they are interested). The giving of treats is probably a great ways to have your guests put your pet(s) at ease! Be careful about leaving anything that is wrapped in easy grabbing range! Seriously, a dog or puppy (as well as many other types of pets) are very curious. Leaving wrapped presents out is just an invitation for disaster. It does not matter if they are under the tree or not. A pet does not understand anything about the holidays. They think that all of the gifts are for them! They will start digging around if they possibly can. While we are on the topic, the same pretty much goes for the decorations on the tree. You can try to train them, but the second you leave, they are going right for the presents and the tree. The only real solution I have found to this problem is to simply make the whole holiday area inaccessible for the pets. This can be done by using a series of locking gates in selected doorways and other access points. While animals can eat some human food, giving them assorted table scraps is not generally a very good idea. In fact, many of the table scraps are decidedly not good for them at all. This is especially true around holiday time, with a number of unusual and exotic treats. Of course, your pet does not know anything about this, and they will likely beg and try to cajole whatever food they get. This is especially true if you have guests over. They are more likely to feed the little ones. Additionally, the pet will likely try to see how easy they are and beg from them before you! Just make it known that feeding the animals from the table scraps is not something you do. As a dog owner, I was pretty interested in hearing about ways to keep my little one happy during vacations. This has actually been quite a struggle. I always wonder what do with my puppy (now dog) when going on vacation. The most basic question is even whether to take him along at all. Then, if the answer is negative, what to do? I hate putting him a kennel, even if it is just for a few days. After all, that is really not fair to him. Plus, I really hate the idea of him being cooped up all day. At home, we have a nice yard with a fence and he can run around all he wants. Also, he is pretty much king of the castle and has free reign of the home as well! I would imagine that the few times I was forced to take him to the kennel he was pretty confused. I cannot imagine what must have been running through his beady little brain. Probably other dog and puppy owners have had similar experiences. Most of us will certainly try to have a trusted friend or family member stay with the little one. 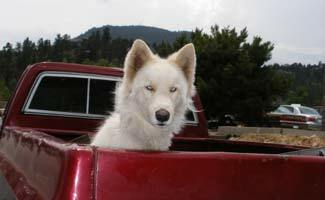 The kennel or other paid boarding method is an option of last resort. This article started out from the perspective of the dog or puppy. I was very excited and thought it had some excellent possibilities. After talking about how pets are incredibly observant and that they notice everything and want to be included in all of our fun human activities, this just stopped. Too bad. The author was on a roll and really could have turned this into quite a unique and interesting article. Even still, it turned out to be a pretty informative presentation, with some good tips and information. Certainly, most dog and puppy owners will get something out of this. 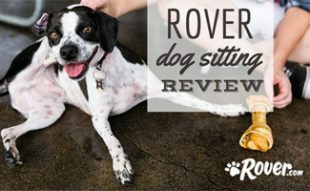 The basic premise is that there is so much activity around the holiday season that even a normally calm, collected and well behaved pet can change. With the human owners doing all sorts of strange things like decorating, changes in feeding schedules and being gone much more than usual, it can really cause an animal a lot of confusion and increase their stress levels. Certainly, I have noticed this with my pets over the years. This is one of the main reasons our family tries to include the non human members in as many holiday activities as possible. 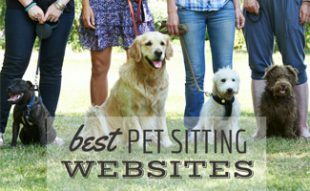 In addition, there are a number of things which a pet owner should do to try and help maintain the low stress levels of their animals. One of the best ideas is to maintain a regular schedule. This includes sticking to regular times for walking, feeding and grooming. Many people do not realize how much their animals depend on regularity. By sticking to the same schedule, you are communicating to them that everything is fine and despite the increased activity, nothing is really going to change in their lives.